Three coffee brewing methods were the most popular with truck campers. To see the top three coffee makers of TCM readers go to “The Best Portable Coffee Makers For Camping“. 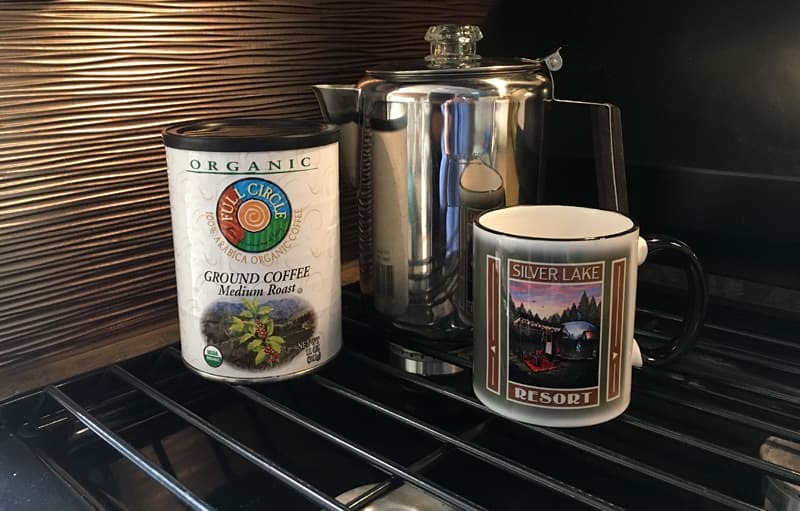 Below are the detailed real world camper coffee machine reviews from Truck Camper Magazine readers who have made hundreds of pots of coffee in the wild. “I make coffee the old fashioned way using a metal percolator. There are several advantages to using this time-worn method. If you figure out a coffee to water ratio and use it every time, the coffee will be consistent. It will be boiling hot when you pour your fresh, morning cup and will stay hot longer than many methods. This is a plus on a cold, winter-camping morning. It’s easy to look at the glass percolator top. Watch the color of the coffee until it reaches the perfect strength for you. There is nothing better than the smell of freshly brewed coffee, and a percolator fills the camper with the fragrance. “I use a Cafejo My French-Press with K-Cup Pod. Very minimal clean up required. Heat water in the microwave or electric kettle when on shore power, or on the propane stove without power. We can bring different k-cups for different roasts and regular/decaf coffee. “For years we used an aluminum camp stove coffee pot without the insides. We bought the Folgers sealed whole pot round filters which we can’t find anymore. Safeway was the last to have them and now they don’t. If anyone knows where we can get them, we would appreciate it very much. “I have a passion for coffee that is 30-plus years in the making. 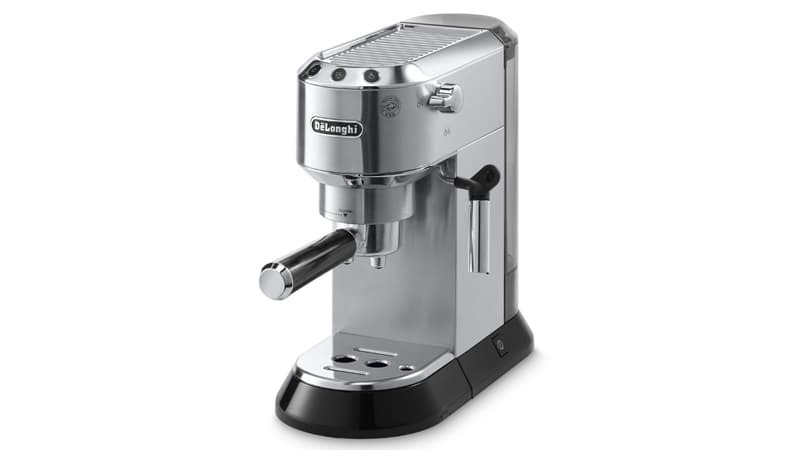 We use a Delonghi EC680M DEDICA 15-Bar Pump Espresso Machine for mochas and lattes. It takes up very little space on our countertop, heats up quickly, and makes an amazing morning drink. “I have a Mr. Coffee eight cup electric stainless steel insulated carafe backed up by extra camper batteries and a 2000-watt inverter. It makes eight cups in under 10 minutes. 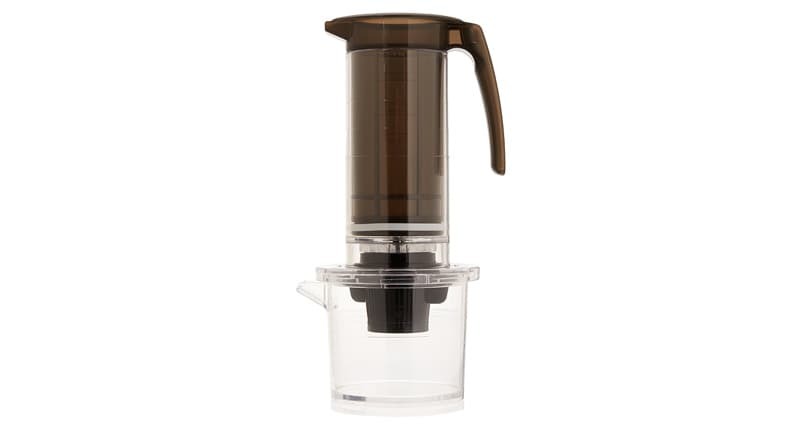 No hotplate is needed since the insulated carafe holds the temperature.